This topic contains 1,857 replies, has 93 voices, and was last updated by JR19759 1 day, 19 hours ago. Jennifer James grew up idolising superheroes. She always wanted to be one, but having no powers of her own, she was a bit stuck. She tried learning how to fight and going down the non-powered vigilante route, but that just got her beat up. She tried sneaking into scientific research labs to see if she could get powers through a random accident, but that just got her arrested for trespassing. She even tried to follow superhero fights around hoping that somehow powers might just rub off on her or something. But none of it worked, until one day she was approached by some random stranger offering her the chance to gain powers. Sounds too good to be true right? Well, yes and no. 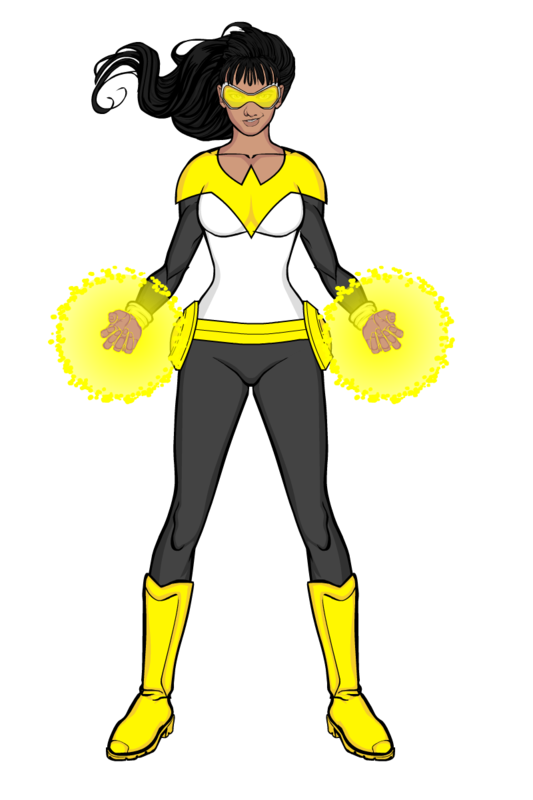 She did get superpowers, but the guy turned out to be from Criminal Enterprises and Jennifer was forced to become a supervillain, not the hero she’d always wanted.. Now as the electricity manipulating Voltea, Jennifer regularly has to fight the very heroes that she idolised, including The Angels, Swan-Song and Red Kite. This reply was modified 4 months, 1 week ago by JR19759. @plejus- Thanks for the offer, but no thanks, I’d prefer to keep the characters I’ve already created and posted to this thread, on the off chance that I may some day be able to do something with them my self. However, if you do have Jeff’s permission to use Heromachine characters for your game, then I would be happy to help create those characters, with direction and input (as I’m obviously not sure at this point what theme or style you are going for exactly). But I’d have to double check with Jeff first of course, just to be 100% sure. Professor Da Liu, formerly of the Peoples Scientific And Medical Research Center in Beijing, China, is an expert on genetics, particularly in the field of Germline Gene Editing. However, his aims and methods were too extreme for the Chinese scientific community and he lost his position in the Gene Research Department of the PSMRC. Wishing to push the boundaries of gene editing, Liu turned to a new sponsor, Criminal Enterprises. As the Chief of CE’s Scientific Research division, Liu has forged a close working relationship with CE’s CEO, Charles Mason. 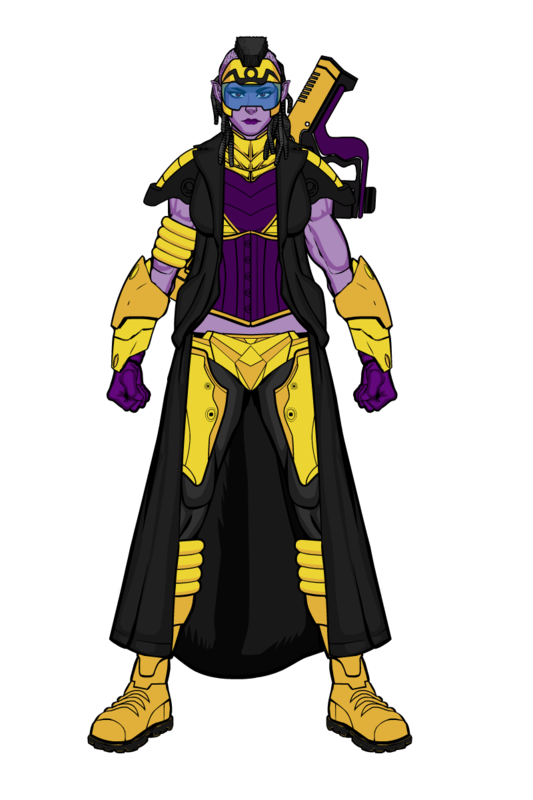 Mason funds Liu’s less ethical experiments and in return Liu gives Mason a steady supply of superpowered underlings. 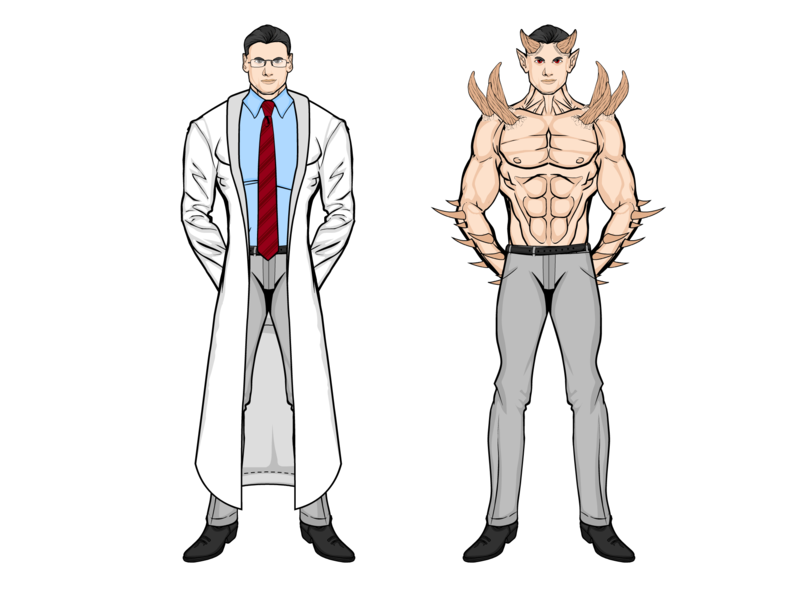 However, the end goal for both is the same, self modification, although, unbeknowst as of yet to Mason, Liu may have already beaten him to the punch. This reply was modified 4 months ago by JR19759. One of those chosen to undergo a mystical ritual to become protectors of her home country of Nguvu (a secret country hidden away in the jungles of central africa), Chipungu Tshuma was forced to flee her home after one of the other chosen, Masimba Hunzvi (also known as the Black Lion) went rogue and declared a blood feud against her. 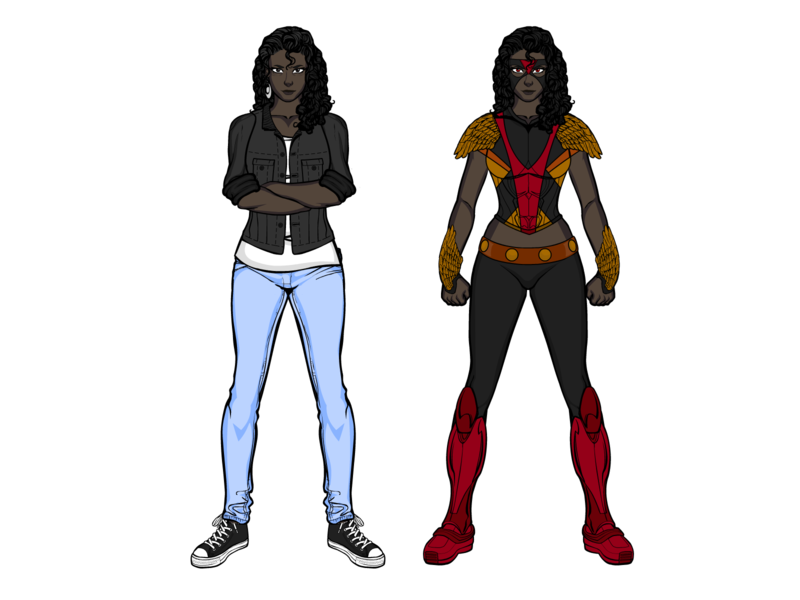 Ending up in Emerson, she became the superhero known as Bateleur (after the animal from which she derived her abilities, the Bateleur Eagle) and started a family with a local restraurater, Aaron White, having two children with him. 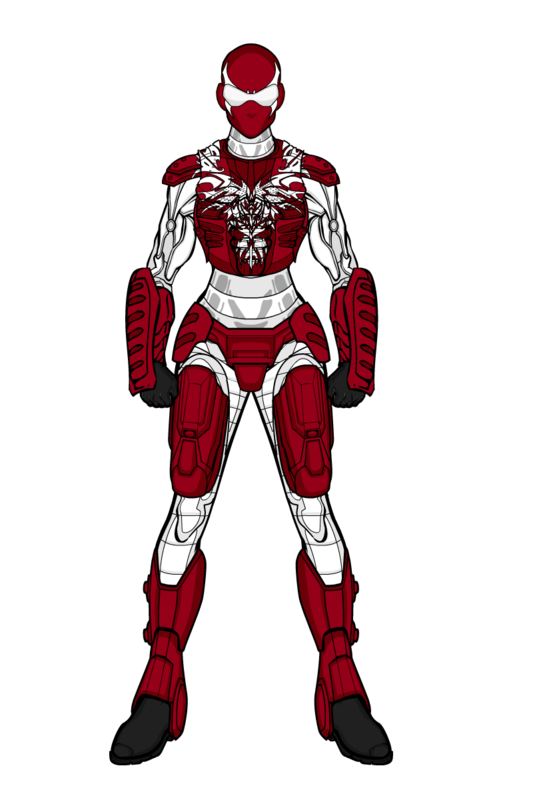 She even became the mentor to a new young superhero, Kate Quinn, known as Red Kite. However, after many years of relative peace, Tshuma’s world was rocked by the return of Black Lion, with her family and friends now in the firing line. This reply was modified 3 months, 3 weeks ago by JR19759. 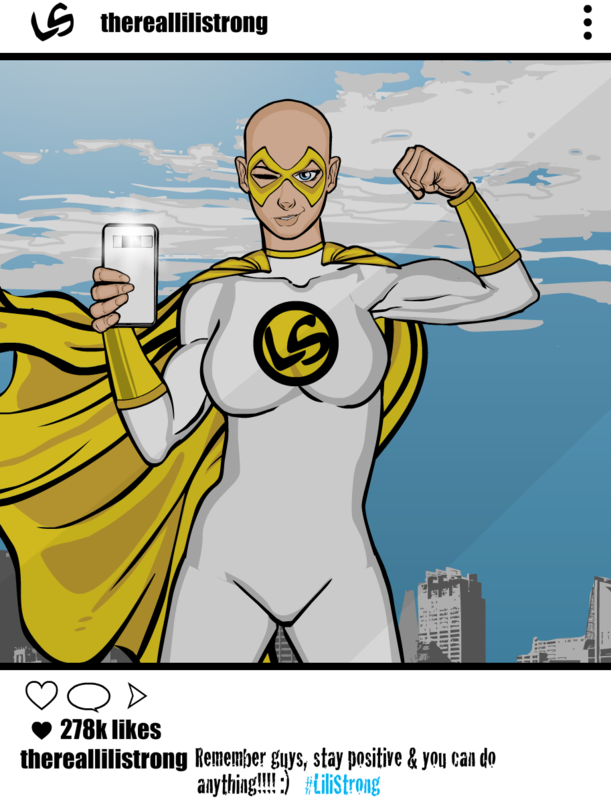 In her early days of being a superhero, Kate Quinn used to fight crime in what were essentially just a modified jacket with her logo on it and a pair of large goggles, along with a t-shirt and some tights. However, when she met Chipungu (Chi) Tshuma (Bateluer), she got a costume upgrade. Recognising the inherant danger of Kate fighting in her street clothes, Chi redesigned the entire outfit, utilising fabrics from her home country that had been used in the making of her own costume (and the uniforms of the Nguvu military). Not only did the new costume give Kate much more protection without impeeding her mobility in any noticable fashion, it also fully covered her face, lessening the risk of her identity being discovered by a mask malfunction. When Masimba Hunzvi (Black Lion) declared a blood feud against Chipungu Tshuma (Bateleur), not only did he force her to flee for her life, he entered the entire country of Nguvu into a civil war. 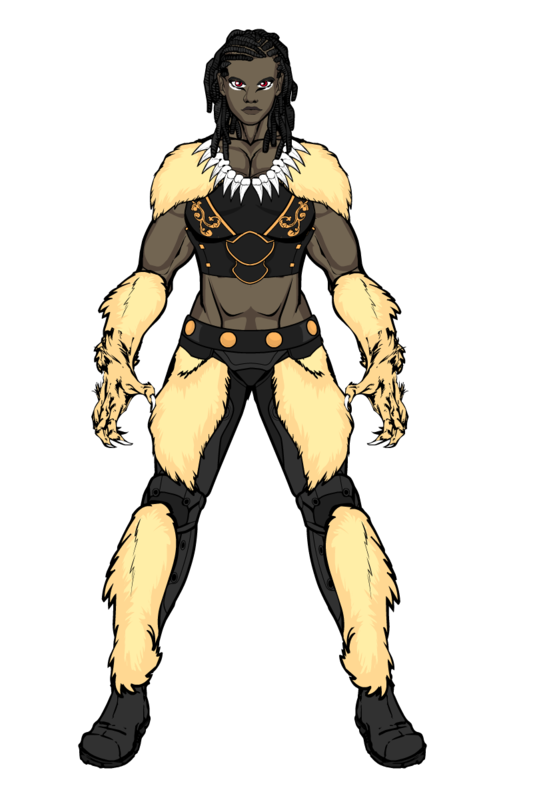 Nguvu is a highly advance but highly secretive country ruled by a council of tribal leaders and protected by each tribes guardian, named after and empowered by that tribes associated animal. But when Hunzvi attacked Tshuma, he drew his tribe into a conflict with hers, setting off a powder keg of tensions that had been controlled for decades. The conflict was short but bloody, with the council of leaders gaining back control. Due to his role in the beginnings of the conflict and his actions during it, Hunzvi was branded a war criminal and sentanced to death, but he escaped before his sentance could be carried out. By tribal law, the guardian must hunt down any fugative criminals of their tribe, leaving the Lion tribe no choice but to appoint a new guardian, Oni Opeyemi, and set her to hunt down her predecessor and bring him back to Nguvu, dead or alive. This reply was modified 3 months, 2 weeks ago by JR19759. As both the best friend of Kate Quinn (aka Red Kite) and daughter of Frank McCoy (aka Condor), Maria McCoy was always going to get dragged into the world of supers eventually. However, when her father turned against his former employers, Criminal Enterprises, he put his daughter right in the firing line. 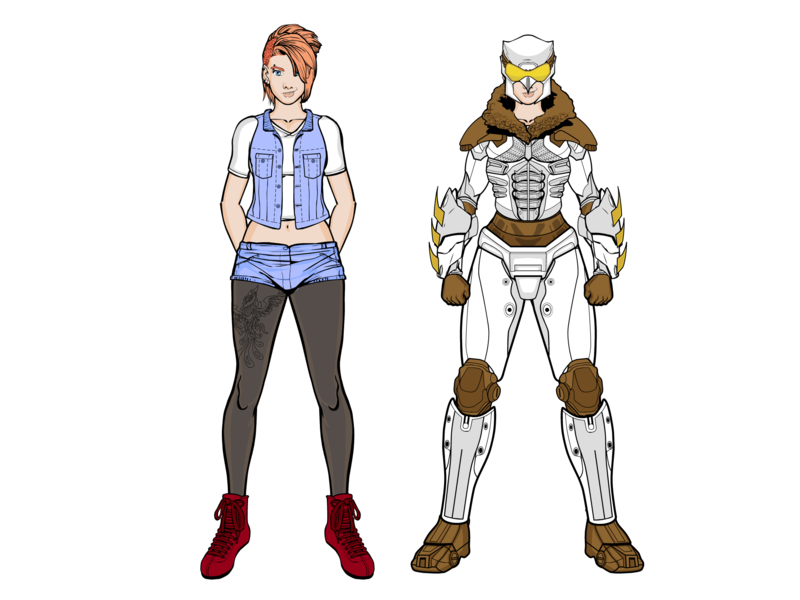 Despite their best efforts, neither Red Kite nor Condor could fully protect Maria from the full might of Criminal Enterprises and she was severely wounded by Ms Ultra and left on the brink of death. Fortunately, Criminal Enterprises had also created a near perfect solution, one of their most precious superserums was a healing formula, a serum that would allow the user to heal from almost any injury. Teaming up, Red Kite and Condor managed to steal the serum and get it to Maria. As with all CE serums, there were side effects, enhancing Maria’s senses and strength beyond normal human levels. Now, using a modified version of her dads Condor suit, she helps Red Kite as Osprey. And I do believe that is the last one for Red Kite at the moment. That was a pretty long series. Coming from a long line of shapeshifters, Cameron Harvey has the ability to take the form of a horned, wolf-like beast at will. It is unknown how her family gained their unusual ability, but family lore claims that the ability stretches back over 10 generations, ruling out modern technology, leaving the most likely causes being either magic or an early unrecorded incident of alien abduction and experimentation. 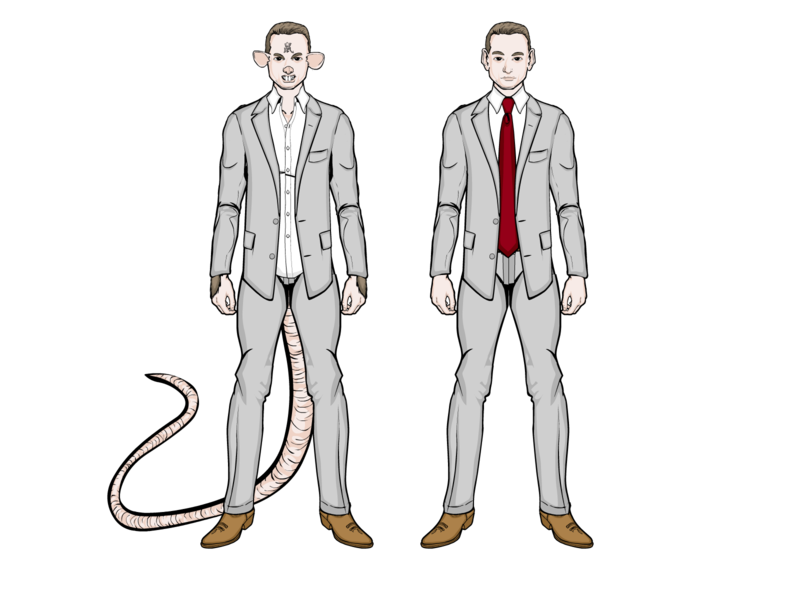 What is concretely known however, is that each member of the Harvey family shows some form of shapeshifting ability, most commonly into some form of animalian alternate form, and are easily distinguishable by their dark skin and snow white hair (thought to have some connection to their shapeshifting abilities). The family are generally neutral, prefering to keep to themselves and stay out of trouble. 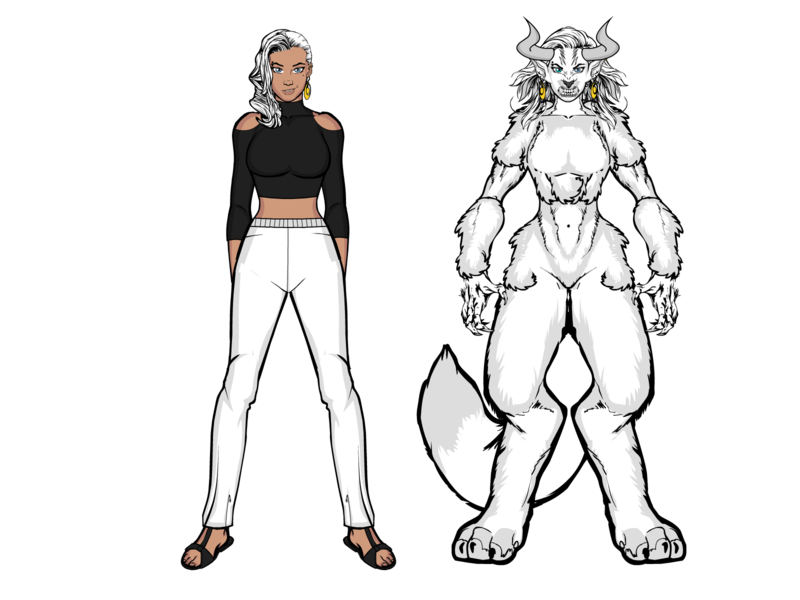 Some of the younger generations have been known to get noticed by authorities however, and Cameron herself is well known by the SRC as a valuable ally (although they originally came into contact with each other when the SRC mistook her and her brother for werewolves after a particularly wild night out). This reply was modified 3 months, 1 week ago by JR19759. Random stopgap thing. Alien soldier girl, no backstory atm, would probably be something to do with Galactic Guard if there was. Currently working on another big series of images. Pretty much finished with it all, but can’t start posting them for about another week, for reasons that should become clear when the series has finished. This reply was modified 3 months ago by JR19759. 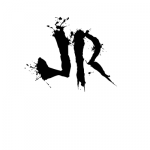 Notes: The illegitimate daughter of Carl Barrett (aka The Watchman), raised by her mother, Maria, and step-father , Julio, without ever meeting her father (and without his knowledge of her existance). 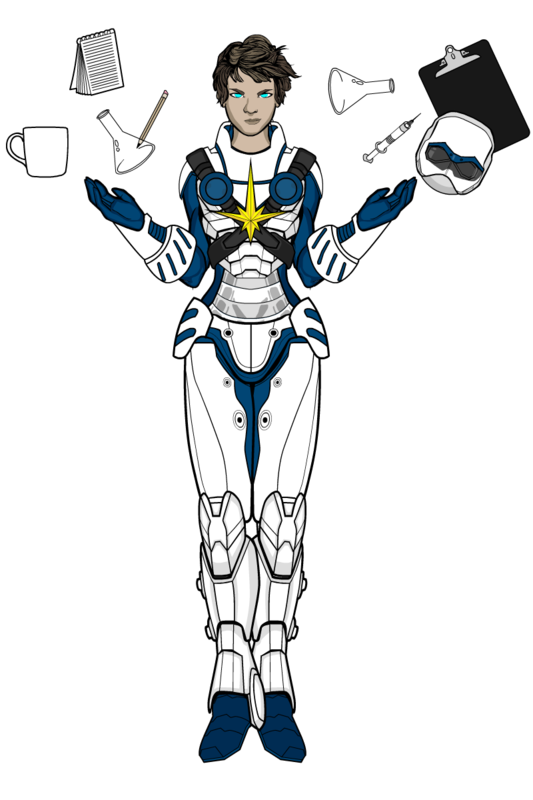 She shares many of her fathers abilities, though she can self generate the energy she uses, rather than channelling through an object like he does, hence her powers are much more varied. Once a respected physicist working in the field of particle physics, Marie Lavoie gain the power to manipulate the effects of gravity on any object she touches due to a freak accident at the lab where she worked. At first she tried to carry on her work, trying to use her powers for science. 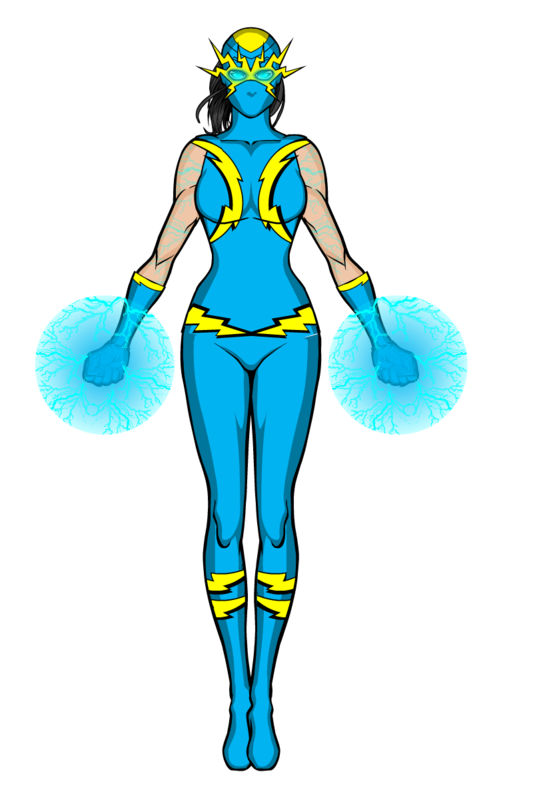 However, she was convinced by a friend to use her powers to become a superhero and help people. As Terre, she became the most famous hero in her native France. Problem is, she became rather arrogant and careless and it ended up costing her. During an attempt at foiling a bank heist, she accidentally cause the deaths of a number of hostages, losing her concentration and causing debries to fall on them. Mortified and villified, Lavoie fell into a deep depression. And then the real trouble started, as she was targetted by the sadistic mind-controller, Reuben Balfour. Balfour saw Lavoie as a useful tool and used her to fight against his enemies, breaking her will and messing with her mind to make her more suseptable to his ideas. Eventually she was freed from his control, but the damage had already been done. Due to the length of time she had been under Balfour’s control and the extent to which he had invaded her mind, Terre was no more. Instead, Marie Lavoie had become Gravité, a vengeful villain who used her powers only for personal gain and to harm others. This reply was modified 2 months, 4 weeks ago by JR19759. One of the twelve zodiac spirits, Kubira represents the Rat and is by far the trickiest of the twelve. Intelligent, inquisitive and highly manipulative, Kubira knows how to get his own way, even with the most obstinant of his fellows. Of course, his almost underhanded nature does put him at odds with some of the other zodiac spirits, especially Sindura the Rooster, who has no time for his intricacies and schemes. Nor does he get along well with Antira the Rabbit or Pajra the Sheep, both of whom find him a little creepy. However, Kubira does know how to make some powerful allies amongst the group. He has made sure to ingratiate himself with both Anila the Dragon and Makura the Monkey, two of the more powerful spirits, by playing to their individual weaknesses, Anila’s ego and Makura’s self-serving nature. As with each zodiac spirit, Kubira has his own special ability, stealth. Kubira can move around undetected to even the most advanced surveillance systems, an especially good tool for his two favourite past-times, gaining knoweldge and acquiring money. Kubira is probably the greediest of the spirits, being almost entirely motivated by personal gain (especially monetary gain), but he can be generous when he wants. Zodiac spirits are drawn to hosts that are most compatible with their personality (usually hosts that are born within the hour, day, solar term and year of the animal the spirit represents), and, as such, Kubira has chosen George Thomas as his host. Thomas was an ambitious, self-serving business executive, who worked his way to the top through a combination of smarts, skill and shady dealings. But now he has found himself thrown into a world he was not fully prepared for, playing host to an ancient mystical creature and having to fight for his life against those that want to take both the power of said creature and its life, and by extension, his as well. This reply was modified 2 months, 3 weeks ago by JR19759. Physically, one of the strongest of the zodiac spirits, Vajra the Ox has a mellow personality that belies his awesome power. Though he can be awfully stubborn at times, Vajra is kind, reliable and increadibly patient. Despite this, he does have a few things that can push his buttons, impatience and selfishness being two of the foremost. Because of this, he has never seen eye to eye with Anila the Dragon, who is by far the most egotisitcal of the spirits and one of the few who are as stubborn as Vajra. He also odesn’t get along all that well with Indra the Horse, who is pretty much Vajra’s opposite, he likes to take things slow whereas she just likes to go and do. Vajra does tend to get on with other hard-working spirits, such as Sandilya the Snake and Sindura the Rooster, as he sees them as more reliable (as tenuous as that belief may seem at times, especially with Sandilya). Whilst it would seem at first glance that Vajra’s ability would be his immense strength, it isn’t. His actual power is his massive endurance, he has near infinite stamina and can work tirelessly for hours on end without tiring. 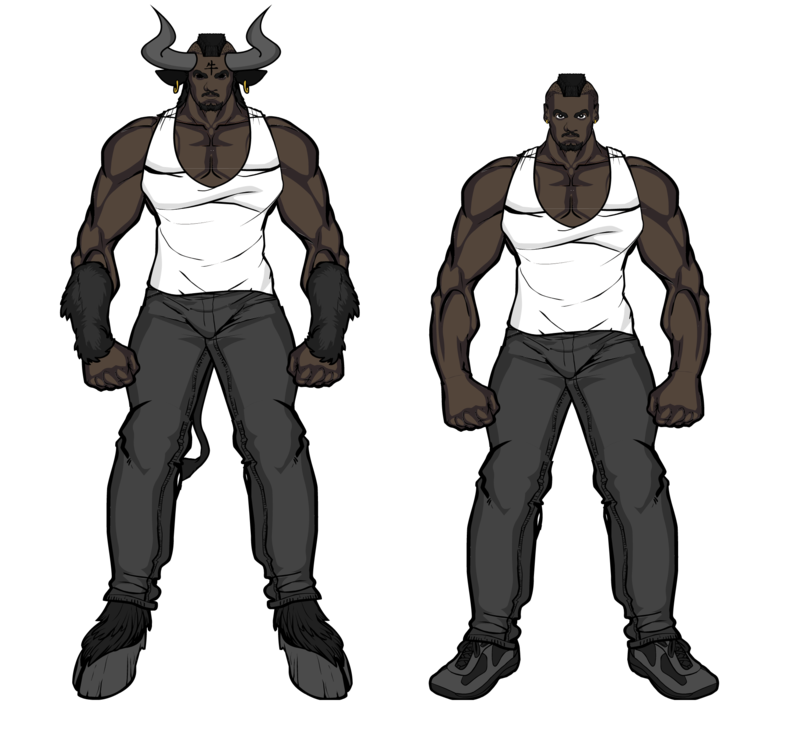 As his host, Vajra chose Carl Jacobs, a former bodyguard turned youth counciller, a man as down-to-earth and reliable as Vajra himself, with a big heart and a mean right hook for anyone who messes with him or his friends.